DETROIT – Big discounts. Six- or seven-year loans, in some cases to buyers who would have been turned down in the past. The big discounts and other steps eventually should help push sales above 17 million, most experts say. But Honda Motor Co. U.S. sales chief John Mendel last week scolded competitors for using “short-term” tactics such as subprime loans, 72-month terms and increased sales to rental car companies to pad their sales. “We have no desire to go there,” said Mendel, whose company’s sales through July have fallen 1.3 percent, trailing the industry. “It could be a disaster later on,” says Morgan Stanley analyst Adam Jonas. “We’re clearly robbing Peter to pay Paul.” He sees sales growing to an annual rate of 18 million in 2017 – then sinking to 14 million a year later. That will mean factory closings, restructurings, and thousands of job cuts just for companies to break even. Not all forecasts are that dire and on one – not even Jonas – is predicting a repeat of billion-dollar losses and cars piling up on dealer lots. Automakers have cut costs and are better positioned to handle a downturn than they were in 2008 and 2009. – $2,702: Average discount per new car through July. They’re heaviest in two segments: Midsize cars (up almost 21 percent through July) and compacts (up 10 percent). Automakers need to move the cars because a lot of factory space is committed to building them. – 12.7 percent: The year-over-year increase last quarter in auto loans to “Deep Subprime” buyers – those with credit scores lower than 550. Loans to “subprime” buyers (credit score lower than 620) rose 5.3 percent, according to Experian. Combined, both are just over 12 percent of all auto loans. Those with lower credit scores generally have a higher default risk. – 32 percent: Percentage of auto loans that are 72 months or longer, up from 23 percent in 2008, according to LMC Automotive. Longer loans keep buyers out of the market because it takes longer to build equity for a trade-in. – 26 percent: Percentage of sales that are leases, up from 18 percent in 2008, according to LMC. A flood of expiring leases in three years could depress used-car prices, hurting new car sales. – 70 percent: The increase last quarter in auto repossessions, according to Experian Automotive. Sixty-day delinquencies are up 7 percent. Still, both are below 1 percent of all auto loans. Karl Brauer, senior analyst for Kelley Blue Book, sees trouble in the juicy discounts. In 2007, spending on incentives was just under 9 percent of the average sales price for a vehicle. That dropped to around 8 percent in 2012 and 2013. It’s back up to 8.4 percent and likely will rise toward 9 percent later in the year, he says. “This was the trap that got everyone in trouble before the recession,” Brauer says. Former Hyundai U.S. CEO John Krafcik, now head of the TrueCar.com auto pricing site, says used-car values should fall from current record highs, will fall to a normal level as leased cars enter the market. Those who lease will be shopping again every three years. 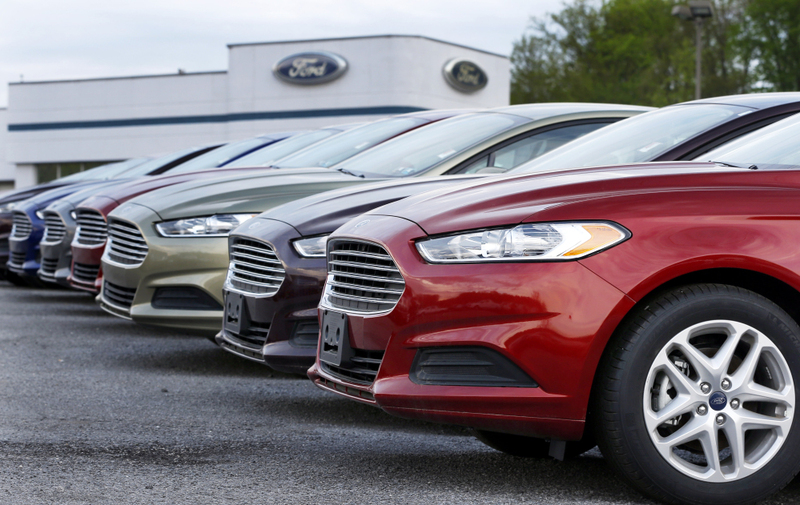 All automakers report sales on Wednesday, and most analysts are predicting the numbers will be flat compared to 2013. That’s still a strong month, with an annual sales rate of 16.5 million or more.